Helllooowww everyone! It's been a while there! =) I've been super busy, as some of you may know. I'm still trying to adapt to this "new lifestyle" xD. It should slow down a bit for the next days, I should be able to blog a bit more, since my orientation is finished and I'll be working on call until July 2nd. I'm loving the job but it just drains the energy out of me at the end of the day. When the media reports that Quebec's hospital and health-care system is overcrowded, it is. I thought that they were only dramatizing the thing but wow, they're not lol. Today I'll be reviewing Shiseido's Pureness moisturizing gel-cream. I ran out of my La Roche-Posay Toleriane fluid and I wanted a light moisturizer for summer since my face tend to be more oily. What is claims: "A lightweight creamy gel that moisturizes, softens, and refines skin as it promotes a healthy-looking radiance. Leaves skin feeling dewy fresh. ･Protects the skin's natural moisture balance with Shiseido-exclusive ingredients Hydro-Balancing Complex, containing botanical Extract Palo Azul. It comes in a 40ml glass jar, with a light gel texture that has a strong fragrance to it & a strong hint of alcohol. It was very unpleasant at first but I just got used to it. It spreads very easily and a little goes a long way. From my experience, when I put too much product, I felt like the product just sat on my skin & didn't sank in. However, when applied lightly, it would absorb very well. 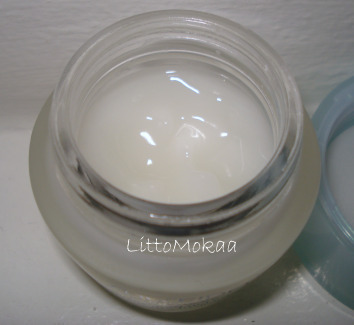 There's a fresh feeling to it and it leaved my skin dewy and radiant right after application. As the weather became hotter, my t-zone got oilier, as well as the top of my cheeks. 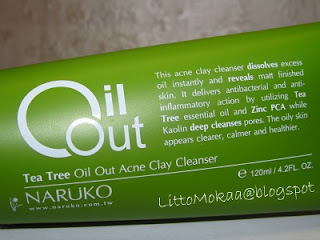 Even though it had a lot of perfume, my skin didn't react to it and didn't break me out :) Since it makes my t-zone shiny during the day, I like to use it during the night, especially when the AC is on. It does hydrate my skin and I love how it leaves my cheeks comfortable and smooth. Packaging: 4.8/5 I like jars but not travel friendly.. Formula: 4.7/5 Absorbs quickly when applied little by little. Would I repurchase? Probably not because it's not worth 40$. Thank you for the review. I use some items from the Shiseido line. In fact, one of my cleanser is a Pureness. I paid about $18 for it, and one tube lasts me for about half a year. I like the Pureness line for my oily skin. Thanks for the review! 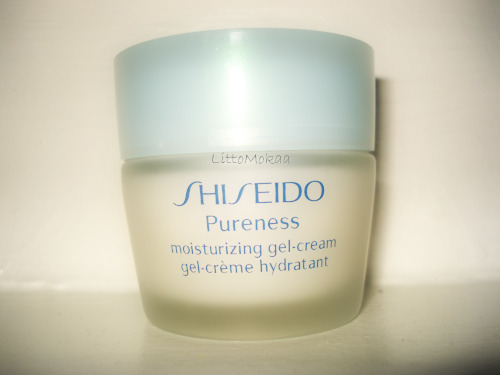 Too bad that it doesn't have oil control and it has strong scent too..
Shiseido is always a bit pricy. I am sorry the oil control is not as satisfying. If you want a moisturizing gel for the summer, you can probably try Biotherm. I agree with you on Shiseido having too much fragrance in their products. I think the brand focuses on aromatherapy so all products have this sweet smell. 25 Beauty questions tag + blog award!